December 31 is one of the most upbeat and lively days of the year, and it deserves a drink with equal effervescence. That's where these cocktail recipes come in! 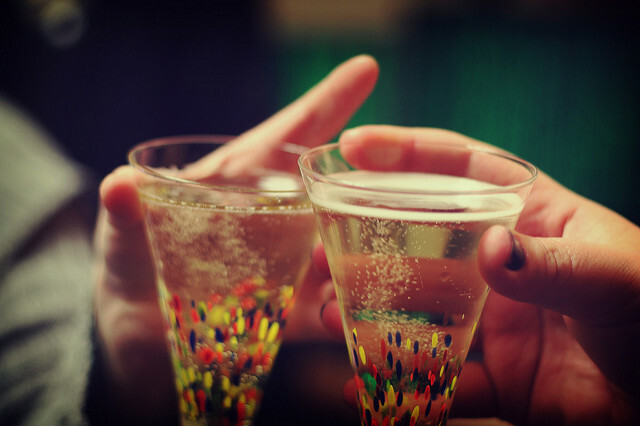 Fizzy, bubbly, with a hint of sparkle, they're the perfect complement to New Year's Eve celebrations. Nota bene: All of these cocktails are equally as delicious without alcohol! Refreshingly herbal, this cocktail combines the flavors of prosecco and melon liqueur. Balled melon is plopped into each glass, then garnished with mint sprigs. For the party-goer with a sweet tooth, this champagne cocktail couldn't be much easier to make: Simply scoop fruit sorbet into a champagne flute, then pour champagne over top. We recommend garnishing with fresh raspberries. Lemon-lime soda, strawberry-flavored vodka, and cranberry juice cocktail create this festive cocktail. Add a strawberry for an added splash of color and flavor. To celebrate the New Year in your very own Kelson Group Apartment check out our website here! Ask about our incentives.